Both Jake and I are very interested in history, and we like looking around ancient buildings and monuments. 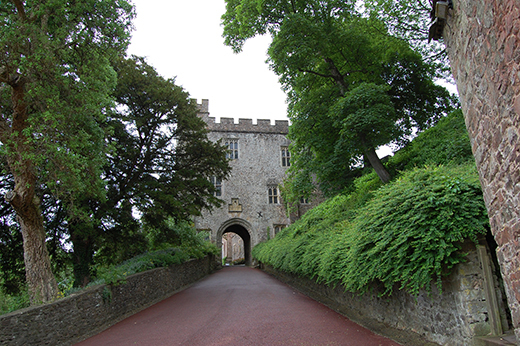 We’ve made a point of including elements of British history in our games, so we were open to inspiration for Shadowhand when we went to visit Dunster Castle in North Somerset, UK last summer. There has been a castle on the site for over a thousand years – back in the early days supporters of Empress Matilda used it as a major stronghold against King Stephen in a civil war known as The Anarchy. So already this is a location that resounds with lore that any RPG fan would appreciate. Much of the castle still standing today was built or extended in the 17th and 18th centuries, making it ideal research fodder for our RPG card game, set in 1770. 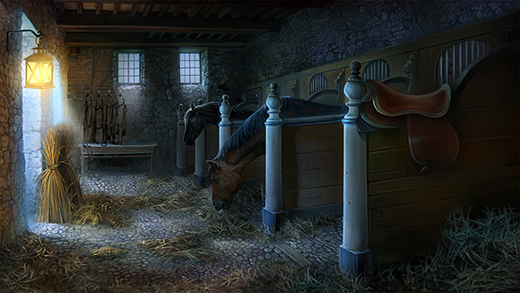 The castle is extensive and we explored it all, but one area that we really loved and wanted to include in the game was the stables. A game with a highwaywoman set before motorised transport must feature horses. 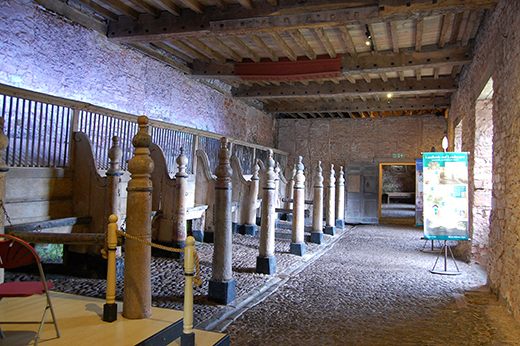 These stables, built shortly after (another) civil war in 1660, have horse stalls that are late 17th or early 18th century. The light coming in from the old windows was very atmospheric, even though no horses are kept here now. Every level needs to have a purpose. After battling her way across the Somerset Levels (Avalon Marsh in our game) Shadowhand gets some valuable information from the Ostler who works in the stables, looking after the horses. Imagining our character travelling around a landscape loosely tied to real locations in South West England at a specific time in history helped to inform not just the story but also concrete details of the people she would meet, tools, weapons, and other story items that would be part of the game world. Being British, there are many items on display in stately homes and castles that we almost take for granted. Having game design in mind definitely makes us look more closely. 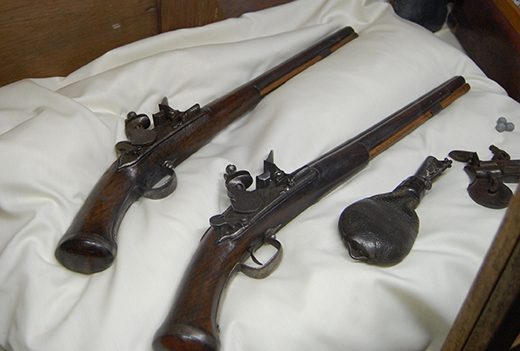 Weapons were presented in glass cases in a slightly more modern gun room or armoury. We didn’t draw directly on images from Dunster, but we did end up including an armoury level with weapons on display in our game. 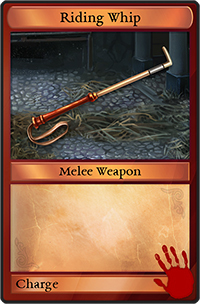 The format has changed slightly from a riding whip to a riding crop, but again, this historical item fed into game ideas that led to a whip being included as a weapon. We don’t do all our game design this way, of course we also do a lot of research from books and the internet. 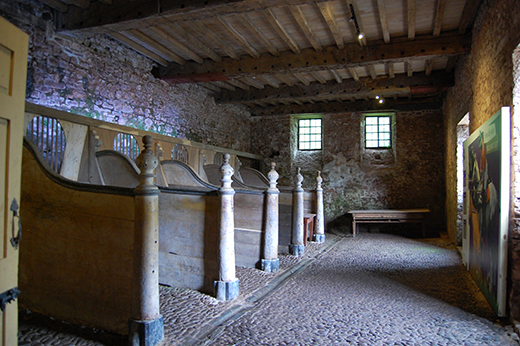 But visiting historical locations and museums in person definitely keeps it fresh and sometimes gives us original ideas. It’s also extremely valuable to take your own (copyright free) images for our artists to use as references. 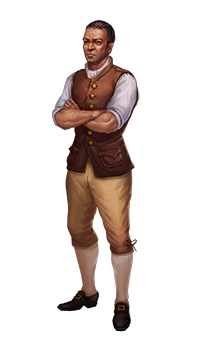 The Shadowhand world, its story and characters definitely extend far beyond the scope of what will eventually be used in the game itself. We think the attention to detail and depth of research add something special, which players recognise and enjoy. This entry was posted on Friday, September 30th, 2016 at 5:40 pm and is filed under Developer Diary, Game Development, Grey Alien Games. You can follow any responses to this entry through the RSS 2.0 feed. Both comments and pings are currently closed.